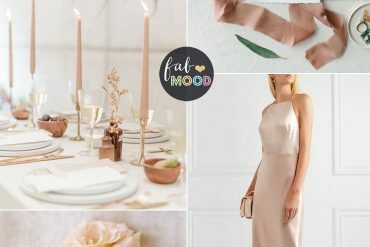 Choosing what kind of theme will be for your wedding matters a lot. It is the first step in creating beautiful and amazing day. 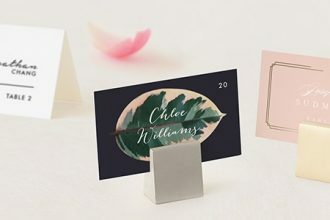 It will transform that special day to the day you will be excited about because of the hard work and personalize ideas you put to make it perfect! 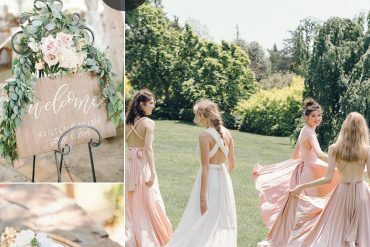 Prepare to swoon for a romantic apricot wedding colors with gold + Cadet blue + Dark Blue and Royal Blue wedding in a garden featuring mismatched bridesmaid’s dresses in royal blue, cadet blue and dark blue Dress by Virgos Lounge, photo by We Are The Lous. 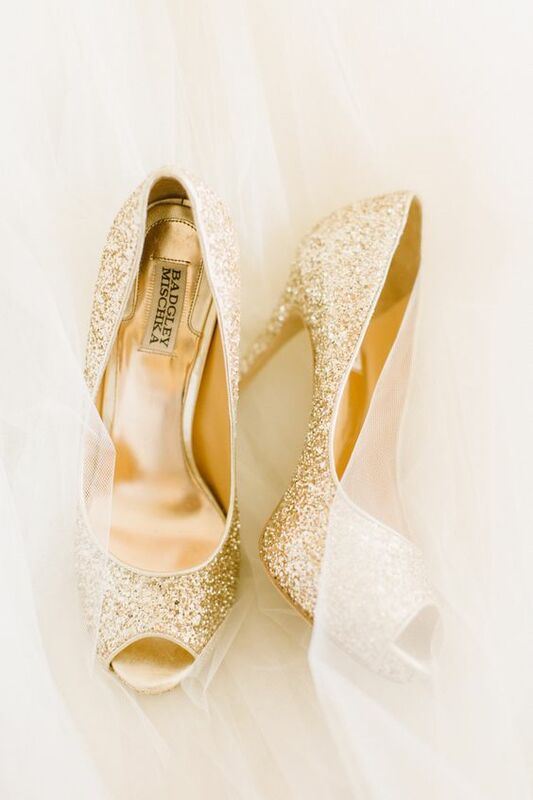 I adore this glam wedding gown by Noel Chu Atelier photo by Lauren Michelle Photography that came in a stunning gold and champagne tone. 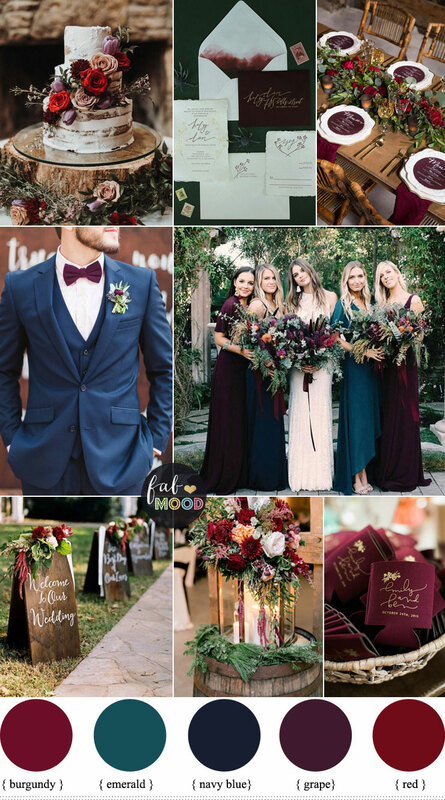 With such a romantic wedding color palette, aim for equally pretty and romantic decorations. Apricot and dark blue tone are such beautiful colors and when combined together. 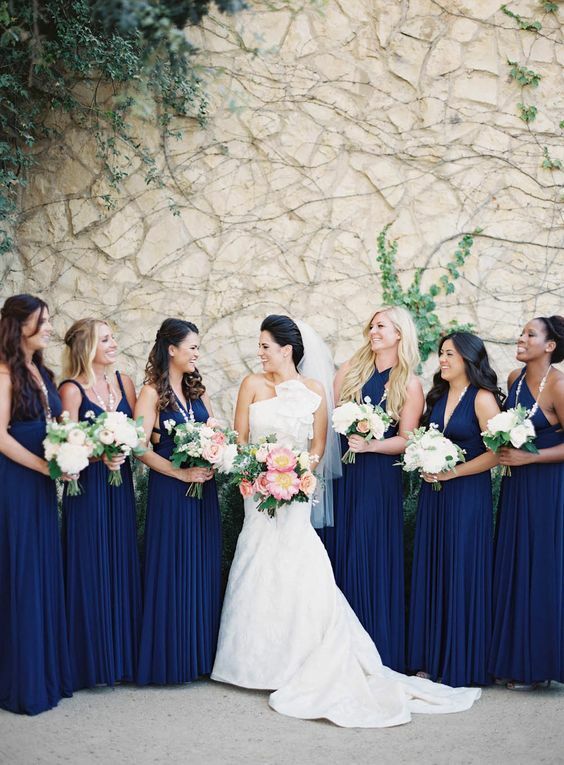 For opulence glam looks dark blue tone is ideal if you prefer a stronger color for your wedding party. 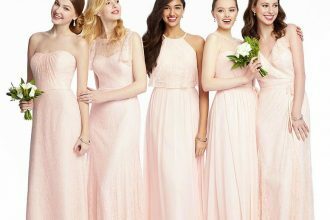 If you prefer soft colors for romantic look use apricot for bridesmaids. 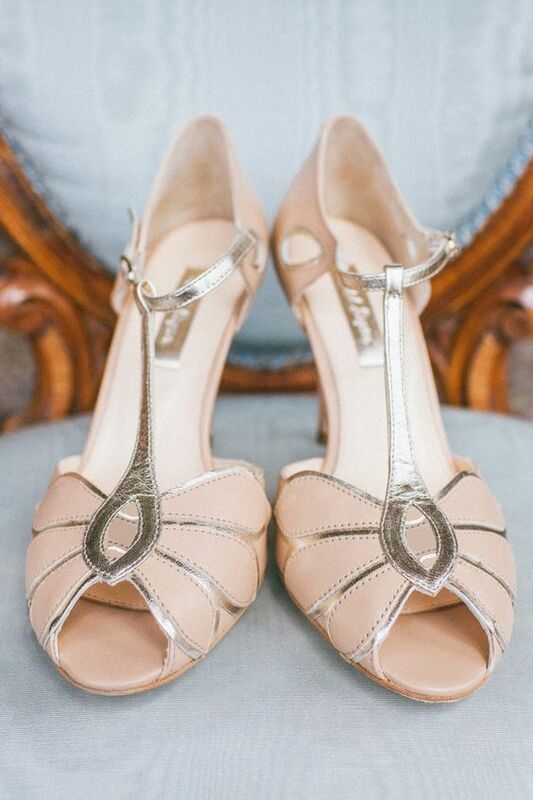 Wedding shoes : Either gold wedding shoes for bride , it would be lovely for the bride to bring apricot color into her ensemble with her apricot wedding shoes.